This beautiful sunny hillside is located in the municipality of Ingersheim, near Ammerschwihr. This Riesling seems born for the fans of dry and racy wines. This wine will accompany shellfish, crustaceans, oysters, salmon, bar ... but also Alsatian dishes such as sauerkraut. This pinot gris is powerful, opulent, endowed with a great aromatic finesse and longevity out of the common. It is perfectly accompanied by fine, sweet and savory dishes (mango fried liver), foie gras, a cassolette of snails with morels, desserts (mirabelle tart or apricots). "The terroir of the king of Alsatian wines, the Riesling"
The Wineck-Schlossberg vineyard is oriented south and south-east, between 280 and 400m above sea level, protected from the prevailing winds, Microclimate very favorable. 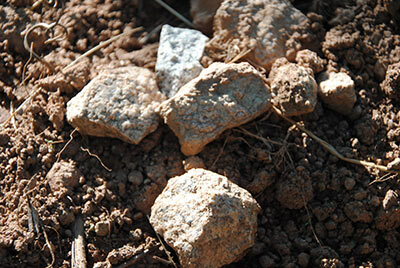 The disintegrated granitic substrate gives rise to light soils rich in mineral elements, allowing an early maturity of the grapes. The Grands Crus of the Wineck Schlossberg are typically distinctive wines, very characteristic of the best wines of Alsace. 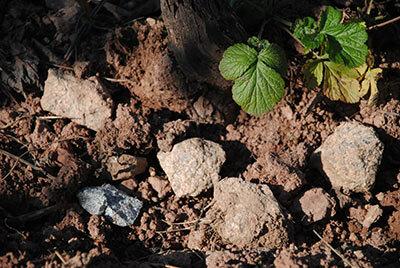 The nature of the soil gives them their fruity, their aromas and an incomparable floral character. A rare wine from an exceptional terroir cultivated in biodynamics. This wine can be appreciated now for its freshness and vivacity, but its potential for custody will be up to 10 years. This wine will accompany with pleasure the fishes of sea and river ... but also the Alsatian dishes such as the trout with the blue, or even a filet of pikeperch on bed of sauerkraut. 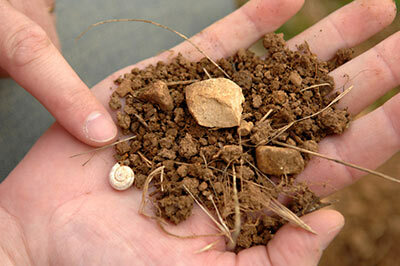 The name of this terroir appears for the first time in the cadastre of the Abbey of Pairis in Ammerschwihr in 1338. It is then repeatedly quoted in various works of the 19 and 20th centuries. In the heart of the Alsatian vineyard south of Ammerschwihr, there are several hills under Vosges at an altitude of 240 to 320 meters. Wonderfully sunny, this land of 71.65 hectares produces fine wines of great finesse which are the pride of our house. Mainly granite slopes (granite migmatite of Kaysersberg, granite at 2 micas of Turckheim) flush with the piedmont partially masked by Quaternary formations of various origins. The Kaefferkopf benefits from the Ammerschwihr microclimate created by an important foehn effect which maintains high pressures in a low pressure environment, especially in spring and autumn. It produces well-structured, balanced and elegant wines, aromatic finesse with beautiful acidity. In the range "The Cuvées Jean-Baptiste"
In the range "Les grands vins"
Riesling Grand Cru Kaefferkopf "Vieilles Vignes"
Gewurztraminer Grand Cru Kaefferkopf "Vieilles Vignes"
The Grand K, from our "Vieilles Vignes"